1. The following General Terms and Conditions (GT&Cs) shall apply for all orders in the Schalke 04 Online Shop at www.store.schalke04.de (hereinafter also called: “S04 Shop”) as well as all phone orders with Fußballclub Gelsenkirchen-Schalke 04 e.V. 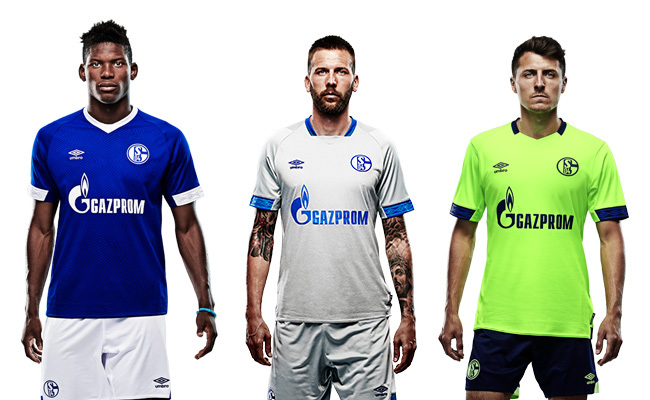 and all purchases in fan shops and at the office of Schalke 04.2. These GT&Cs shall also apply for future purchases, even if not agreed upon separately. 3. These GT&Cs are divided into a “General Part” (Chapter A), applying to all orders in the S04 Shop, all phone orders with Schalke 04 and all purchases in fan shops and at the office of Schalke 04. Chapter B “Special Conditions: Merchandising” shall only apply to the purchase of merchandising products in the S04 Shop and phone orders of merchandising products with Schalke 04. Chapter C “Special Conditions: Ticketing” shall only apply to the sale of tickets and season ticket subscriptions as well as parking permits (hereinafter called “tickets”), independent of the distribution channel these tickets were purchased through. 1.1 Merchandising Products: Contractual partner of the customer and user of these GT&Cs during the sale of merchandising products is Fußballclub Gelsenkirchen-Schalke 04 e.V., Ernst-Kuzorra-Weg 1, 45891 Gelsenkirchen, register court Gelsenkirchen District Court, association register number VR 20822 (hereinafter also called: ”Schalke 04”). 1.2 Tickets: Contractual partner of the customer and user of these GT&Cs during the sale of tickets for events at Veltins-Arena is the respective organizer. Organizer of home games of the teams of Fußballclub Gelsenkirchen-Schalke 04 e.V. is Schalke 04, unless official advertising materials and tickets expressly show a different organizer. Regarding other events, the organizer is stated on the tickets, in the event description and on the order form at www.store.schalke04.de as well as in the official advertising materials regarding the respective event. 1.3 Parking Permits: Contractual partner of the customer and user of these GT&Cs during the sale of parking permits is Schalke 04, unless the selling of such parking permits is expressly made on behalf of a third party. 2.1 Advertising: The S04 Shop and other advertising and references of the seller regarding offered goods and services do not contain an offer for the entering into of a contract, but a request for the submission of an offer by the customer. 2.2 Offer; Acceptance: By clicking the button “Commit to Buy” in the S04 Shop, the customer submits a legally binding offer for the purchase of the goods in the shopping cart. The contract is entered into by the seller declaring acceptance; such acceptance can be carried out within ten days; shipping and delivery of the goods are deemed acceptance. 2.3 Order Data: The order data of the customer are stored with the seller; however, for reasons of security, such data cannot be retrieved by the customer directly. In case the customer has created a customer account online, the seller provides each customer with a password-protected direct access (“My Account”). There, the customer after the corresponding registration can review data regarding his completed, open and recently shipped orders and can manage and store his address data. 3.1 Due Date: Payment of the purchase price and, if applicable, payment of the arising shipping fees is due when entering into the purchase contract. 3.2 SEPA Direct Debit Mandate: If the customer grants the seller a SEPA Direct Debit Mandate, direct debiting is only carried out after the issuing of an invoice and will be announced to the customer at the latest one business day prior to direct debiting. The customer guarantees that his account is in credit. Costs arising in case the direct debit is not honored or if there is a chargeback of the direct debit are to be borne by the customer unless such events are caused by the seller. 4.1 Delivery Time: Delivery time, unless otherwise stated, is 3-5 days. The seller is authorized to carry out partial deliveries to the extent that this is reasonable for the customer. For special orders, e.g. flocked jerseys and other articles printed according to the customer’s request, delivery time is approx. 10 days. 4.2 Failure of Supplier to Honor Obligations: Should the seller not be able to deliver the ordered goods through no fault of his own, because for example a supplier does not honor his contractual obligations, the seller has the option to withdraw from the contract. Payments already effected will be reimbursed. 4.3 Minimum Order Value: The stated prices include the statutory sales tax; any arising shipping costs will be added. The minimum order value for a shipping address in Germany is EUR 10.00, and EUR 50.00 for a shipping address abroad. 4.4 Shipping Costs: Costs for shipment to an address in Germany amount to EUR 5.00. For deliveries within Europe the seller charges a shipping fee of EUR 13.00, and for international deliveries a shipping fee of EUR 25.00. 4.5 Payment Methods: For orders from Germany, the seller offers various payment methods, namely direct debit (only available for registered customers), PayPal and payment via credit card. For international orders, the seller only offers payment via credit card and PayPal. For payment via credit card, the credit card of the customer is charged after the completion of the order, for payment via direct debit, the account of the customer is charged when the goods are shipped. For payment via PayPal, the customer is automatically forwarded to the PayPal website during the order process. The seller reserves the right to exclude individual payment methods subject to a credit check. 4.6 Partial Deliveries: Should the seller complete orders via partial deliveries, the customer is only charged a shipping fee for the first partial delivery. In the case of partial deliveries at the request of the customer, the seller charges shipping costs for every individual partial delivery. 5.1 Reservation of Proprietary Rights: All goods remain the property of the seller until paid in full. 5.2 Offsetting: The customer is not authorized to offset against claims of the seller, unless his counterclaims are legally established as final and absolute or unless these are undisputed. 6.1 Liability of the seller, his legal representatives and vicarious agents for damage arising from injury to life, body and health as well the liability according to the Product Liability Act as well as liability due to a maliciously concealed defect or the assumption of a quality guarantee is not limited by these GT&Cs. Furthermore, these GT&Cs do not limit any liability of the seller for damage resulting from an intentional or grossly negligent breach of duty of the seller, his legal representatives or vicarious agents. 6.2 If none of the stated cases is given, liability of the seller for damage arising from the breach of an obligation that is of material importance for achieving the contractual purpose, whose fulfillment makes at all possible the correct execution of the contract and whose observation the customer relies on and should be able to rely on (material contractual obligation) is limited to the foreseeable damage typical for this type of contract. Liability of the seller shall be excluded in all other respects. 6.3 To the extent that liability for damage in Chapter A, item 6 is limited, this shall also apply to any liability of the seller’s vicarious agents and legal representatives. The seller is liable for any defects as to quality or any defects of title of delivered articles according to the applicable statutory regulations, especially Sections 434 et seq. BGB (German Civil Code). The period of limitation for statutory claims for defects is two years and starts with the delivery of the goods. Towards business owners, such guarantee obligation for goods delivered by the seller is 12 months. In the event of any changes to market conditions and/or the legal situation and/or the jurisprudence of the highest court, including for existing (long-term) obligations, the seller is entitled to amend these GT&Cs and/or the seller’s applicable price list with a period of four weeks beforehand and/or to change them to such extent as is reasonable for the customer. The corresponding changes will be announced to the customer in writing (via email is sufficient). The amendments or changes will be deemed accepted if the customer does not object to such within a period of four weeks after receipt of the amendments and/or changes in writing or via email, provided that the seller has expressly pointed out the effect of the absence of an objection. Any objection by the customer must be directed to the contact address listed in Chapter A, item 13. If the customer is a business owner, a legal entity under public law or a special fund under public law, the place of jurisdiction for all disputes arising from the contractual relationship in a direct and indirect manner is the court with jurisdiction for Gelsenkirchen. The laws of the Federal Republic of Germany apply with the exclusion of the United Nations Convention on Contracts for the International Sale of Goods (CISG). If the customer orders as a consumer and if at the time of ordering he has his habitual residence in another country, the application of mandatory statutory regulations of this country remains unaffected by the choice of law made in the first sentence. Should individual clauses of these GT&Cs be or become invalid in part or completely, this does not affect the validity of the remaining clauses or the remaining parts of such clauses. 12.1 The European Commission provides a platform for the online settlement of disputes. This platform can be found at http://ec.europa.eu/consumers/odr/. 12.2 The seller shall not participate in the settlement of disputes before an arbitration organization for consumers. Orders, inquiries, complaints and other correspondence regarding the S04 Shop can be sent to the following address: Fußballclub Gelsenkirchen-Schalke 04 e.V., P.O. Box 200993, 45844 Gelsenkirchen. Phone: +49 1806 221904 (EUR 0.20/call from a German landline, and EUR 0.60 per call from a cellphone; costs for international calls may vary)Fax: +49 209 3892 599; Email: kundenservice@schalke04.de. Chapter B “Special Conditions: Merchandising” - besides Chapter A “General Part” - shall only apply to the purchase of merchandising products in the S04 Shop and phone orders of merchandising products with Schalke 04. It shall not apply for the sale of tickets and season ticket subscriptions nor parking permits. 1.1 The following right of cancellation is only applicable for consumers in the sense of Section 13 BGB (German Civil Code). According to this, a consumer is any natural person who enters into a legal transaction for purposes that predominantly cannot be attributed to his commercial nor self-employed professional activity. You have the right to cancel this contract within 14 days without having to state a reason for doing so. The cancellation period is 14 days starting the day you, or a third party identified by you who is not the carrier, have or has accepted the goods. In order to exercise your right of cancellation, you must inform us (FC Gelsenkirchen-Schalke 04 e.V., Ernst-Kuzorra-Weg 1, 45891 Gelsenkirchen, phone: +49 1806 22 1904, fax: +49 209 2618 599, kundenservice@s04-shop.de by sending us a clear explanation (e.g. via letter sent by mail, fax of email) regarding your decision to cancel this contract. You may download and use the attached sample cancellation form, however, this is not mandatory. To observe the cancellation period, it is sufficient that you send the notification regarding the exercise of the right of cancellation prior to the expiration of the cancellation period. If you choose to cancel this contract, we have to return to you all payments we have received from you, including the costs of delivery (minus the additional costs that arise from you having chosen type of delivery that deviates from the most cost-effective standard type of delivery offered by us) immediately and at the latest within fourteen days after the day we receive the notification regarding your cancellation of this contract. For repayment, we will use the same payment means you had used during the original transaction, unless something else was agreed upon with you; in no way will we charge you any fees for repayment. We may refuse repayment until we have received the goods or until you have procured proof that the goods were sent back by you, whichever date is earlier. You have to return to us all goods immediately and in any case at the latest fourteen days after the day you inform us about the cancellation of this contract. The cancellation period is observed if you dispatch the goods prior to the expiration of the period of fourteen days. The costs for the return shipment of the goods shall be borne by us. You are only responsible for a possible loss in value of the goods, if such loss in value is caused by your handling of the goods that is unnecessary to check the quality, characteristics and functionality of the goods. Contracts regarding the sale of tickets and season ticket subscriptions as well as parking permits (for which this Chapter B does not apply anyways).
. Timely dispatch is sufficient to comply with the cancellation period. However, a condition for the exercise of the voluntary right of return is that the customer has only worn the goods to try them on as it would be the case in a retail store and that the goods are returned completely, in their original state without defects in the original packaging. In case of return shipment, the customer may use the return label included with the order. 2.2 The statutory right of cancellation (see above under Chapter B, item 1) is unaffected by the supplementary voluntary right of return and remains in existence independent of such. Until the expiration of the period regarding the statutory right of cancellation, provisions cited therein apply exclusively. The voluntary right of return does not restrict the statutory guarantee rights of the customer. Chapter C “Special Conditions: Ticketing” - besides Chapter A “General Part” - shall only apply to the sale of tickets and season ticket subscriptions as well as parking permits. It shall not apply for the purchase of merchandising products in the S04 Shop and phone orders of merchandising products with Schalke 04. 1.1 Club members of Schalke 04 and season ticket holders for home games of Schalke 04 may receive preference for the distribution of tickets for soccer events by the seller. 1.2 Where the purchase of a ticket includes an entitlement to use public transport (VRR), the transport contract is exclusively entered into between the respective visitor and the transportation company used by the visitor. 1.3 Inclusion of Third Parties: The seller may commission third parties to sell the tickets on behalf of the seller and to also act in his name regarding other rights and obligations of the seller. The contract regarding the purchase of tickets for events is only entered into between the seller and the customer. A third party in the sense of the provision in the first sentence may especially be FC Schalke 04 Arena Management GmbH, unless it is the seller pursuant to Chapter A, item 1.2. 2.1. Spirit and Purpose: In order to avoid instances of violence and criminal offenses in the context of visiting the event, to enforce stadium bans, to prevent the selling on of tickets at inflated prices, and to separate supporters of opposing teams during football matches, it is in the interest of the seller and spectators to restrict the passing on of tickets. f) to pass on tickets for football events with or without payment to persons who are subject to a Germany-wide stadium ban or a stadium ban restricted to the VELTINS Arena, provided the ticket holder knew or should have known thereof. b) the customer expressly draws the attention of the second person acquiring the ticket and new ticket holder to the effectiveness and the content of these Terms & Conditions, the second acquirer agrees to the effectiveness of these Terms & Conditions between himself and the seller, and the seller is informed in good time of the passing on of the ticket, with the second acquirer being named. a) Where single-event tickets are involved, the seller is entitled to withdraw from the contract of sale for the specific single-event ticket and to withdraw from other contracts of sale with the customer regarding other single-event tickets. b) Where season tickets are involved, the seller is entitled to extraordinarily terminate without notice the legal relationship that is in place with the customer, either in full or in part. c) The seller may block the ticket and refuse the customer entry to the event without compensation. d) The seller is entitled to demand from a customer who passes on and/or offers tickets contrary to Part C, Section 2.2, a contractual penalty of up to €2,500.00 for each instance of breach, unless the breach is innocent. The contractual penalty will be set by the seller at its reasonable discretion and, if disputed, will be examined by the competent court. Further claims for damages remain unaffected, any contractual penalty being taken into account where damages are paid. e) The seller is entitled to demand that the customer in question pay out any profit made, insofar as tickets have been passed on in an unauthorized manner as set out in Part C, Section 2.2, a) and/or Part C, Section 2.2, b). f) The seller is entitled to publicize the incident in an appropriate manner, and in doing so name the customer, in order to prevent unauthorized use of tickets in the future. 2.5. Other Measures: The seller reserves the right to prevent persons who are in breach of the provisions set out in Part C, Section 2.2 from acquiring tickets in the future, to subject them to a stadium ban, and/or to initiate other legal measures. 3.1. Proof of ID: The seller is entitled to refuse customers entry to the respective event, where the customer is unable to demonstrate his identity by producing an official, valid ID card (e.g., personal ID card, child ID) and where the customer holding a ticket for a football event at the VELTINS Arena is subject to a Germany-wide stadium ban or a stadium ban restricted to the VELTINS Arena. 3.2. Loss: In the event that the ticket is lost or stolen, the seller is under no obligation to re-issue the ticket. The seller may, at its reasonable discretion, re-issue the ticket if the reservation number is specified and the loss or theft is demonstrated by the customer. The seller will charge a handling fee to cover costs incurred in re-issuing a missing ticket. On accepting the re-issued ticket, the customer agrees to the missing ticket being blocked. This is without prejudice to the seller’s right to demand damages from the customer (e.g., in the event of a seat being allocated twice). 3.3. Where false reports of lost tickets are made willfully and this may lead to a seat being allocated twice, a criminal complaint will be laid by the seller. 3.4. All customers are required to present their ticket to the police, stewards or other authorized security personnel if requested to do so at any time until leaving the event location and to hand it over for inspection purposes. 3.5. In the event that the customer has not taken the seat or standing place indicated on the ticket by the time the event starts, the seller may refuse the customer entry to the event until the next break in the event or allocate another place of equal value for the entire duration of the event. 3.6. The ticket ceases to be valid once the event has ended. 3.7. The seller may eject from the event location customers who breach the rules in force at the respective event location or these Terms & Conditions. 4.1. Children under the age of six are not permitted into non-sporting events, even if accompanied by a guardian, unless the event in question is expressly intended for this age group. 4.2. Children under the age of seven are not permitted into standing areas. 4.3. Children under the age of twelve are permitted into events only when accompanied by a guardian. 4.4. Young people under the age of 18 must leave the event location by midnight. 5.1. If an event is postponed to another date, the ticket will be valid for the new date of the event. 5.2. In the case of Bundesliga home games, the time of the event is specified and agreed to be a Bundesliga match day. This is in view of the fact that precise match dates are not announced by the Deutsche Fußball Liga GmbH (DFL) until a few weeks before the game. A Bundesliga match day may comprise up to four consecutive calendar days to be determined by the DFL before the current season. In the case of Bundesliga home games, a refund of the ticket price can only be demanded if the date set by the DFL falls outside the Bundesliga match day, or the match takes place at a location other than the VELTINS Arena and if the original ticket is returned to the seller or one of the third parties engaged by the seller under Part C, Section 1.3, no later than on the last calendar day of the Bundesliga match day specified on the ticket. Also in the case of DFB cup matches and official fixtures at national or European level (e.g. Supercup, UEFA Champions League matches), the time of the event is specified and agreed to be a match day that may comprise up to three consecutive calendar days, in view of the fact that the precise match dates are not announced until a few weeks before the game. The above provisions apply in this respect mutatis mutandis. 5.3. Season ticket holders are not entitled to return their tickets in the event that a Schalke 04 football game is postponed. 5.4. In the event that a Schalke 04 football game is abandoned, there is no entitlement to reimbursement of the ticket price, unless Schalke 04 is proven to be responsible for the abandonment of the football game. 5.5. In the event of a replay, the replay is regarded as a new event. The ticket for the original event will not be valid for the replay and the ticket holder is not entitled to reimbursement or other compensation. 5.6. Where the event is not a football game within the meaning of Part C, Section 5.2, the customer is entitled, in the event of the abandonment or cancellation of the event without replacement – except in the case set out in Part C, Section 5.7 – to demand that the ticket price be refunded by the seller, provided the original ticket is returned to the seller or to one of the third parties engaged by the seller under Part C, Section 1.3, no later than seven calendar days after the planned event date. The seller is entitled to postpone an event that is not a football game where there is a legitimate reason for doing so (e.g., later clashes with the game schedule of Schalke 04). The seller will announce such postponement no later than six weeks prior to the event. The customer undertakes to duly inform himself of such an announcement. If the event is postponed, the customer is entitled to demand that the seller refund the ticket price, provided the unused original ticket is returned to the seller or to one of the third parties engaged by the seller under Part C, Section 1.3, within seven calendar days of the seller officially announcing the new date. If the postponement is not announced to the customer, the customer is entitled to demand that the seller refund the ticket price, provided the unused original ticket is returned to the seller or to one of the third parties engaged by the seller under Part C, Section 1.3, within four weeks of the originally scheduled event date. 5.7. Insofar as an event within the meaning of Part C, Section 5.6 has already started and is abandoned after more than one third of the average duration for an event of the type in question without any fault on the seller’s part, there will be no reimbursement of the ticket price. 5.8. In the case of an event which, at the stipulation of a competent governing body or competent public authority, must take place with the full or partial exclusion of spectators, the seller is entitled to withdraw from the contract concerning the acquisition of one or more tickets for the event in question and/or to block compensation for season ticket holders. 5.9. Where a legitimate reason to do so exists, the seller is entitled to allocate another seat of equal value to the ticket holder, rather than the one indicated on the ticket. Legitimate reason exists in particular if, at the stipulation of a competent governing body or competent public authority, the event must take place with partial exclusion of spectators. 5.10. Where entitlement to a refund of the ticket price exists, only the official ticket price will be reimbursed. No advance booking fees, handling fees, or system fees will be reimbursed. 5.11. The seller is entitled to change points of the program that are non-essential to the nature of the event overall without the customer being entitled to terminate or return the tickets because of the program change. This applies both to football games within the meaning of Part C, Section 5.2 and other events. 5.12. In all cases where the ticket price is refunded, the refund will be paid only to the customer. 6.1. The customer consents to the seller being entitled, within the context of the event and without being required to pay any remuneration, to create image and sound recordings of spectators and/or to have these created by third parties, to duplicate, send and use these in any audiovisual media and/or to have these duplicated, sent and used by third parties. 6.2. The rights of the seller arising from Part C, Section 6.1 apply globally, without any restriction in time. 7.1. In the case of football events, the customer is allowed to carry photographic equipment. Photos taken at the event location may be used only for private purposes. Commercial use of these photos is prohibited. In the case of any other events, the customer is not permitted to carry photographic equipment. 7.2. In addition to the ban set out in Part C, Section 7.1, second clause, the customer is not permitted to carry sound recording devices or other devices that are suitable for recording or transferring sound. 7.3. Furthermore, the customer is not permitted, except in the case specified in Part C, Section 7.1, first clause, to take photos or make sound, film, or video recordings or to facilitate third parties to so the same. 7.4. The customer is also not permitted to help third parties follow the event at the same time or with a time delay at another location by using devices. 7.5. The seller may allow exceptions to the bans set out in Part C, Section 7.1-7.4 at its own discretion. Commercial use by the customer of sound and image recordings is strictly prohibited. 8.1. The customer is not permitted to bring on to the premises items of any kind with the intention of offering them for sale or of using them in any other way for commercial purposes. Items brought on to the premises with such intention or actually offered for sale may be confiscated by stewards and other authorized personnel until the customer leaves the event. 8.2. Furthermore, the customer is not permitted to hold on the premises any music or art performances or other spectacles or displays aimed at groups of people. 8.3. For every breach of Part C, Section 8.1 or 8.2, the customer will be subject to a contractual penalty of €1,000,00, unless the breach is innocent. Further claims for damages on the part of the seller remain unaffected, any contractual penalty being taken into account where damages are paid. c) smokes within the no-smoking zones designated on the premises of the VELTINS Arena and in the VELTINS Arena. 9.2. The seller is entitled to demand from a customer, who accesses a block other than that indicated on his ticket, a contractual penalty of up to €300.00, unless the breach is innocent. The contractual penalty will be set by the seller at its reasonable discretion and, if disputed, will be examined by the competent court. Further claims for damages remain unaffected, any contractual penalty being taken into account where damages are paid. 9.3. In the event that the customer brings pyrotechnic objects (e.g., flares, illumination rockets) on to the premises of the VELTINS Arena or inside the VELTINS Arena, ignites these, or aids in their ignition, a contractual penalty will be imposed by the seller. The extent of the contractual penalty will be set by the seller at its reasonable discretion and, if disputed, examined by the competent court. Further claims for damages remain unaffected, any contractual penalty being taken into account where damages are paid. 9.4. In the event that the customer throws objects (e.g., beer glasses or cigarette lighters) at other spectators or onto the field of play in the VELTINS Arena, a contractual penalty will be imposed by the seller. The extent of the contractual penalty will be set by the seller at its reasonable discretion and, if disputed, examined by the competent court. Further claims for damages remain unaffected, any contractual penalty being taken into account where damages are paid. 9.5. In the event of unauthorized passing on of tickets, the provisions on contractual penalties set out in Part C, Section 2.4, d) apply. 9.6. Other claims for damages, claims to cease and desist, or other claims under contract remain unaffected. 10.1. Stadium Rules: On entering the VELTINS Arena, the customer undertakes to follow the Stadium Rules on display in the VELTINS Arena. The Stadium Rules of the VELTINS Arena can be viewed online here. On entering the stadium area, all customers acknowledge the Stadium Rules and accept these as binding. The Stadium Rules apply irrespective of whether these Terms & Conditions are effective. In the case of events at other event locations, the Rules displayed at the respective location apply. 10.2. Protective Purpose: The purpose of the provisions of the Stadium Rules and of these Terms & Conditions is to protect the rights of players, spectators, and all other people present in the VELTINS Arena during events, the rights of people who are unavoidably or accidentally affected by such events, and the rights of the clubs involved in the match in question (in particular also to prevent the imposition of fines by the governing bodies due to the misconduct of spectators). 10.3. Fines Imposed by Football Governing Bodies: The seller draws the customer’s attention to the fact that significant fines are imposed by governing bodies (DFB, DFL, UEFA) if spectators ignite pyrotechnic objects in the VELTINS Arena or throw objects at other spectators or onto the field of play. The seller and/or the visiting club are entitled to demand that, by way of compensation, they be reimbursed for these fines by customers who ignited pyrotechnic objects, aided such ignition, or threw objects. The same applies in the event of other fines imposed on the seller by the governing bodies specified above because of the customer’s misconduct. 11.1. The car park tickets acquired are valid only for the event agreed on acquisition and indicated on the car park tickets, and for one vehicle. On leaving the car park, the car park tickets become invalid. The car park may be entered no earlier than three hours before the start of the event. 11.2. The surveillance or safe-keeping of the parked vehicle or any other activity of the seller going above and beyond the mere provision of a parking space is not part of the contract concerning the acquisition of car park tickets that is in place between the seller and the customer. The seller draws the customer’s attention to the fact that parked vehicles are not insured by the seller. In particular, the seller has no insurance cover for damage or theft. 11.3. The customer must remove the parked vehicle from the car park within six hours of the respective event ending. If the vehicle is still located in the car park after six hours have passed, the seller is entitled to remove the vehicle from the car park at the customer’s expense and to have it impounded by a tow company. This is without prejudice to the seller’s right to demand damages from the customer. 11.4. The seller may refuse to allow a vehicle to be parked in the car park if there is reason to suggest that, because of the state of the vehicle, driving the vehicle in the car park or parking it in the car park may pose a risk to the operating safety of the car park. This applies in particular to vehicles, the operation of which poses a danger to people or property above and beyond the normal danger associated with operating a vehicle. 11.5. The parked vehicle must be carefully locked and secured as is common practice. 11.6. The seller may also remove the parked vehicle from the car park or have it impounded by a tow company at the customer’s expense if the parked vehicle is putting at risk the operation of the car park because of a leaking tank or carburetor or because of other defects, if the vehicle is unregistered, if it otherwise poses a danger, or it is taken off the road by the police while it is parked. This is without prejudice to the seller’s right to demand damages from the customer. 11.7. The seller reserves the right to block parking spaces for technical or organizational reasons. In such a case, the customer will be allocated a replacement parking space of equal value that is reasonable to him. 11.8. The German road traffic regulations (StVO) apply in the car park and on the access routes to the car park. When entering the car park, parking, and leaving, the customer must exercise reasonable care. This also applies if the stewards deployed by the seller aid the customer by means of signs or other indications. 11.9. The customer must follow the instructions of the stewards deployed by the seller. 11.10. Insofar as a particular parking space is allocated to the customer by means of corresponding indication on the car park ticket, the customer is required to park his vehicle only in the designated space. Part C, Section 11.9 above remains unaffected. If no parking space is allocated to the customer on the car park ticket or by the stewards, the customer can choose to park in any of the unoccupied parking spaces that are not reserved for other people, as indicated accordingly. Irrespective of whether a particular parking space has been allocated to the customer, the customer is required to park his vehicle within the lines marking a parking space such that there is no hindrance to other vehicles arriving to park in or leaving from neighboring parking spaces at any time. In the event that the customer parks a vehicle in breach of the above obligations, the seller has the right to re-position the vehicle at the customer’s expense or to have it impounded by a tow company. This is without prejudice to the seller’s right to demand damages from the customer. 11.11. The customer may stay in the car park only for the purposes of parking, leaving, loading, and unloading. 11.12. The seller accepts no liability for damage caused by persons who are not legal representatives, vicarious agents, or assistants of the seller (e.g., other customers, other third parties) or caused by a force majeure event. This applies in particular to damage, destruction, or theft of the parked vehicle or loose/in-built objects from the vehicle (e.g., car radio, car phone, cell phone or personal items of value, camera equipment, navigation systems, etc.) and to property attached on or to the vehicle. 11.13. The customer will be liable for any damage he causes (e.g., due to leaking oil, explosion caused as a result of technical defects in the vehicle parked in the car park by the customer or by a third party authorized by the customer), unless no fault can be attributed to the customer. In addition to the rights outlined above, the seller enjoys statutory rights with respect to the customer and the keeper of the vehicle. 11.14. The customer is not permitted to dispose of waste in the car park except in the receptacles intended for this waste by the seller. The customer is also not permitted to carry out repairs in the car park (exception: those undertaken by authorized breakdown service), to wash or to clean vehicles (exception: clearing of snow). In the event of a breach of these obligations, the customer will be held liable in accordance with statutory provisions. 11.15. The customer will be held liable in accordance with statutory provisions for any soiling of the ground or ground water that he causes. The customer must follow any instructions by the authorities or the courts without delay. In the event that a claim is made against the seller for such soiling (be it through the authorities or the courts), the customer must indemnify the seller and reimburse the seller for any damage or loss the seller incurs as a result of the claim, unless no fault can be attributed to the customer. 11.16. Further liability on the part of the customer and his obligations to meet claims under statutory provisions remain unaffected.